Whirlpool makes several different models of gas and electric ovens for your cooking needs. You may experience intermittent or no burner and oven lighting due to built in safety precautions or worn out oven parts. You can determine the cause of the problem by being safe and thorough and testing both the top and oven burners for debris and worn parts. There are several troubleshooting techniques to try when your Whirlpool oven will not light. Test the top and oven burners if your oven will not light. Check your home's fuse box to ensure that you have not blown the fuse or tripped a circuit breaker that controls power to your kitchen. Reset or replace the fuse if needed. Unplug the oven, and then plug it back in. Wait 30 seconds and try to turn on both the top burners and the oven's heating element. Make sure all top burners and the oven are off. Lift up on each burner's heating element and pull it straight out. Do the same for the oven's heating element after you have removed any oven racks and heat plates. Clean off the contacts on all of the elements with a sponge and check all of the receptacles for debris that can prevent the elements from seating correctly. Check the elements' contacts for pitting, scars, burns, corrosion, rust or bending while you dry them off with a towel. Replace any damaged heating elements and their corresponding elements on the oven. Plug the heating elements for the top burners and the oven back into their respective receptacles. 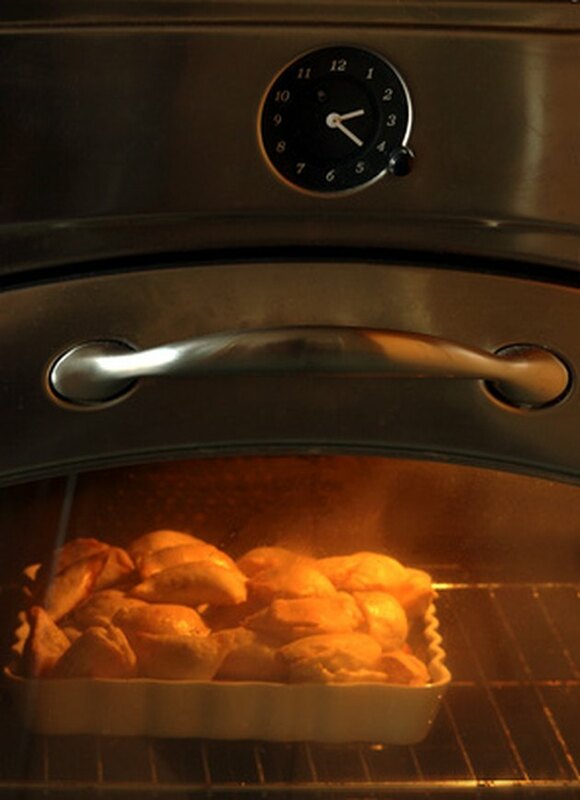 Turn each burner and the oven on to ensure that the elements are lighting. Ensure that all of the top burners and oven are turned off. Remove any oven racks, heat plates and burner hardware so that you can get to all of the burners on top and in the oven. If your oven has a pilot lights for all burners, check to see that they are lit. If the pilot lights are not lit, clean away any debris around the pilot lights and relight them with matches, using the longer matches for the hard-to-reach pilot light on the oven. If the pilot lights are lit, but the burners will not turn on either on top or in the oven, turn off all of the burners on top and in the oven. Clean out each gas jet hole on each burner with a toothpick. Do not forget to clean the broiler burners as well. Do not push so hard that you break off a toothpick in a gas jet. Newer Whirlpool gas jet ovens have a Direct Spark Ignition System (DSI) that uses electricity to light your gas oven. The DSI electronically checks the gas valves' solenoids for continuity of gas flow. If the checks fail, the DSI will turn off both the baking and broiling burners for the oven. Try turning the oven on again to ignite the baking and broiling burners. The ignitor will spark again for 4 seconds and will try again in 30 seconds to ignite the burners. If the burners do not ignite, the oven's microcomputer will lock the system out to prevent a build up of gas and an explosion. If your Whirlpool's system has been locked out, have a repair person check the oven's gas supply, the DSI and the gas valves' solenoids for worn out parts that need to be replaced.